Dritvík, for centuries on of the best and busiest fishing-stations in Iceland, often as many as 60 boats with 300-400 fishermen rowing from there. Rescue hut. 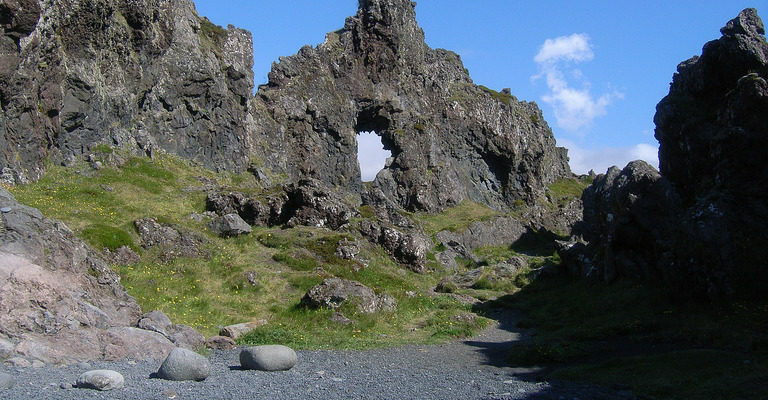 To the east is a large rock, Tröllakirkja (“Giants’ church”), and in the middle of the inlet another, known as Bárðarskip (Bárður’s ship”).